One of the best parts about kayaking in Maui is that every day holds new possibilities to potentially encounter a Hawaiian Monk Seal. 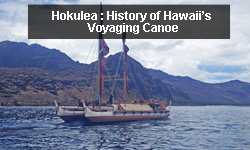 Whether it’s whales in winter, dolphins in summer, or the shiny bald heads of Hawaiian green sea turtles as they slowly surface for air, the marine life found on Maui kayaking tours offers a constant supply of adventure. Of all the species we might encounter, however, Hawaiian Monk Seals always manage to provide a special experience. Not only are these puppy-faced, 500-lb. seals the official state mammals of Hawaii, but encountering Hawaiian Monk Seals in Maui is a relatively rare occurrence. 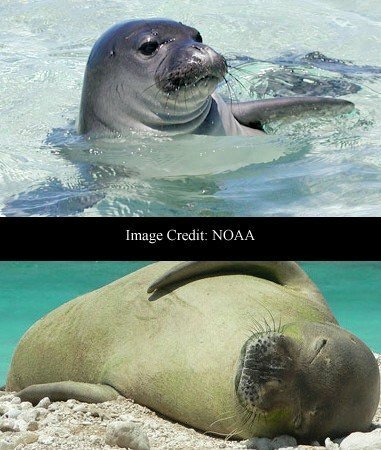 According to NOAA Fisheries, the total population of Hawaiian Monk Seals is only about 1,100 seals, the majority of which reside in the uninhabited Northwest Hawaiian Islands. Down here in the main Hawaiian Islands, NOAA estimates there are only 153 monk seals in the entire island chain – ranging from the Big Island of Hawaii all the way to Kauai—a distance of over 350 miles! Given the fact that they are critically endangered, not only is encountering monk seals exciting, but it’s also important that we play a role in their protection and preservation. 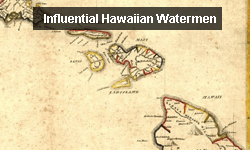 What exactly are Hawaiian Monk Seals, and how are they different than seals on the Mainland? To begin with, Hawaiian Monk Seals are endemic to the Hawaiian Islands, meaning they aren’t found anywhere else on Earth. 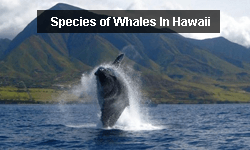 They are one of only two mammals which are native to Hawaii (the other being the hoary bat), and the name “monk seal” is derived from their solitary nature as well as excess fat that resembling the hood of a cloak. 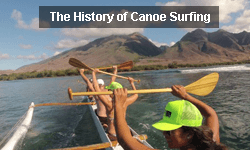 To native Hawaiians, the seals were known as Ilio-holo-i-ka-uaua, which generally translates as “dog running in rough seas.” When you hear the “sniff” of a Hawaiian Monk Seal when it breathes next to your kayak, or look in the eyes of its puppy-dog face as it gives you a curious glance, it’s immediately easy to understand where the Hawaiians derived the name. When compared to sea lions or harbor seals, Hawaiian Monk Seals are a genetically distinct species who have gray coats instead of black. Their closest cousins, the Mediterranean Monk Seal, is thought to number fewer than 500, and the Caribbean Monk Seal they are believed to have evolved from was ruled extinct in 2008. Monk seals primarily feed on squid, octopus, and fish. Even though monk seals can dive to 1,500 ft. in search of their next meal, on average they stay above 200 feet and forage for fish and crustaceans. A handful of monk seals have been found feeding on lobsters, and while no monk seals have been known to dine on sea turtles, on one of our paddling tours we encountered a monk seal that was aggressively handling a honu. 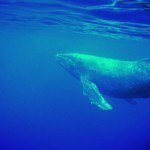 Are Hawaiian Monk Seals Protected in Maui? Not only are they protected under the Endangered Species Act, but they are also protected under the Marine Mammal Protection Act in the same way as dolphins and whales. Thanks to these preventative measures of protection, the monk seal population in the Main Hawaiian Islands has shown an increase over the past 40 years, whereas the population in the Northwestern Hawaiian Islands is experiencing a 4% decline every year. Though there are many reasons for the steady decline, threats to population range from tiger sharks and infighting to the entanglement in rogue debris. It’s believed that the levels of protection and regulation have contributed to the population increase, and it’s a trend we would like to see continue for the long-term health of our seals. 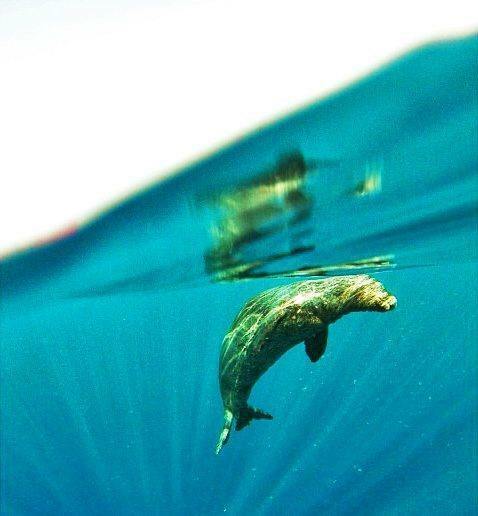 Do you frequently encounter the same seals during your paddling tours of Maui? One thing to understand about Hawaiian Monk Seals is that they cover a lot of ground. The seals don’t really have “resident” areas, although they do sometimes return to places where they have been sighted and documented before. Seals are identified by tags on their flippers which have been placed by monk seal researchers. 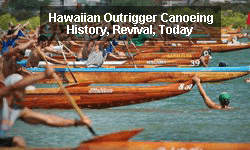 At the time of writing, seal R202 had been frequenting Olowalu. After reporting the sighting to NOAA Fisheries, we learned that she was born on the island of Kaho’olawe and is approximately 4 years old. Another seal, RL06, is another seal which has currently been sighted in the waters off of Olowalu, and research suggests she was born on Moloka’i before venturing over to Maui. In South Maui, there have been reported sightings of RY32 in the area around Makena. 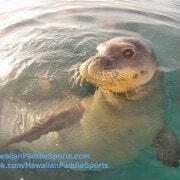 This seal was born on Maui in 1998, and while he has been spotted on all different parts of the island, we have happened upon him at various times during our paddling tours of South Maui. Similarly, as of the time of writing, a female seal known as R305 which used to frequent Makena, was instead hauled out in Ka’anapali while molting. 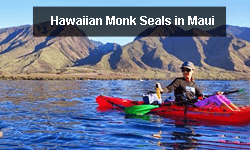 What should I do if I encounter a monk seal while snorkeling or paddling in Maui? For as thrilling as it can be to see a monk seal underwater, snorkelers should never make a conscious effort to interact or play with a monk seal. While monk seals generally aren’t aggressive towards humans, there is always the chance they can become aggressive if they feel threatened or are provoked in any way. 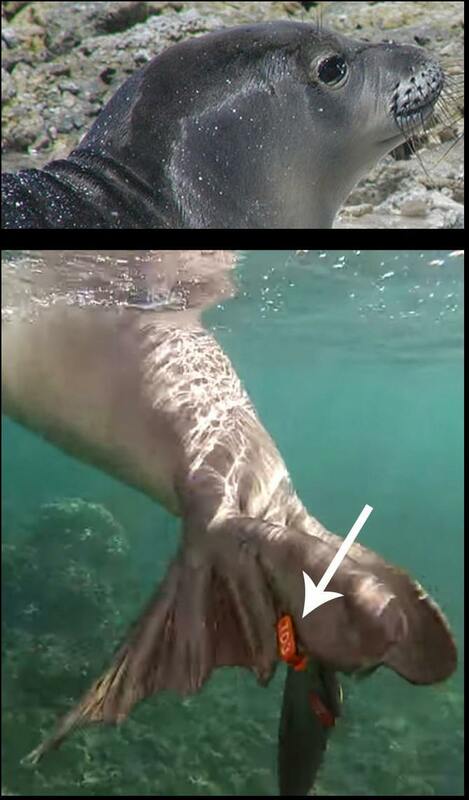 Also, if for any reason seals are fed, it can have dire implications for their natural diet and increase the likelihood of a snorkeler being bitten. Finally, swimming between a mother and her young pup is another way to anger a monk seal, and the best course of action when you encounter a seal while snorkeling is to slowly move away and admire from a distance. When we encounter a monk seal on our paddling tours we never make efforts to swim with the seal, and we only view the seal for 15 minutes to take photos for documentation and reporting. For the health of our critically endangered seals we please ask you do the same. What about if I see a seal on the beach? More often than not, your best chance for encountering a monk seal in Maui is when they haul themselves out on the beach. Sandy shorelines are the preferred resting spots of our resident Hawaiian Monk Seals, and oftentimes the seals can occupy a shoreline for a couple of days or more. While it might seem enticing to get a closer look at one of the planet’s rarest marine mammals, you should keep your distance from seals on the shoreline and allow them to relax undisturbed. If you do encounter a monk seal on the shoreline, be sure to report the monk seal sighting by calling the Maui Seal Sighting line at (808) 292-2372. 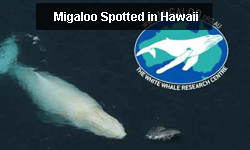 The Monk Seal Foundation’s mission is to preserve the critically endangered Hawaiian monk seal. 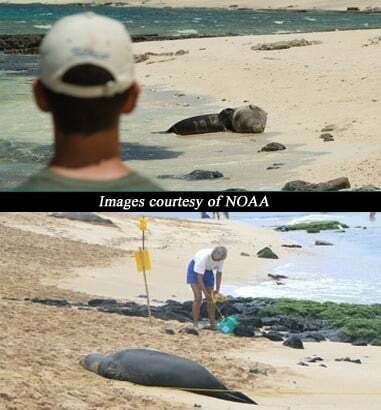 The organization manages Monk Seal Response teams on Oahu and Molokai that ensure seals resting on beaches are undisturbed. 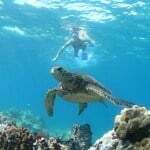 In addition, the monk Seal Foundation assists NOAA, the government agency with jurisdiction over the seals, with its response team on Maui. The foundation engages in outreach and education efforts to inform the public about the natural role of the monk seals in Hawaii’s marine ecosystems and the possibility of coexistence among humans and seals. Moreover, the Monk Seal Foundation collaborates with government agencies, nonprofits, local communities, and other stakeholders to share knowledge and implement conservation programs. For more information about monk seal etiquette and ways to act around monk seals, the following video from the Monk Seal Foundation provides some further advice and suggestions. 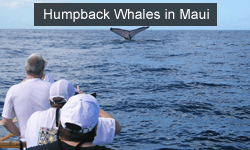 Have you seen a Hawaiian Monk Seal in Maui?